What is Mechanical Computer Aided Engineering (MCAE)?, What is MCAD? Design engineers can benefit from easy to use simulation tools that are integrated into their CAD packages. 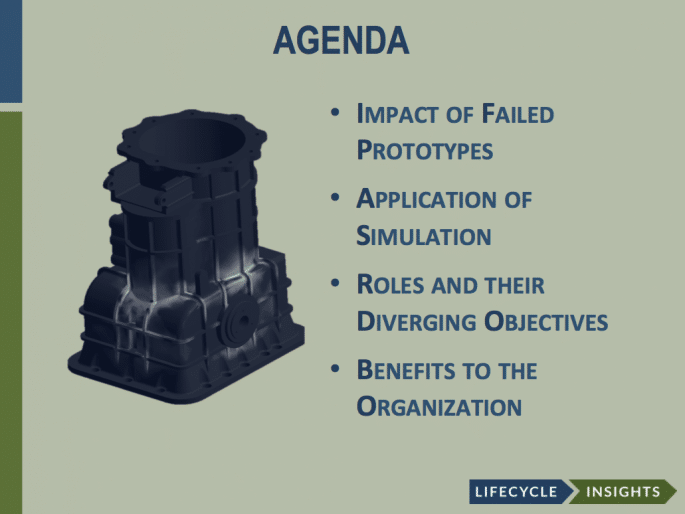 These simulation tools empower the designer to assess how their products will perform earlier in the design cycle, resulting in reduced development times. Our presenters include industry analyst Chad Jackson as well as users of integrated simulation tools in the fluid handling and materials handling industries.